PBC Group can uniquely provide both lines of service either individually or in a dual service capacity. The story of each project gives the best insight into the successful delivery of our services. We began in Ottawa 30 years ago and we’re now developing projects across Canada. View our extensive portfolio of successful projects. PBC Development and Construction Management Group Inc. is providing the lead development services to the Parq resort. Parq Holdings Limited Partnership, a joint venture between Dundee Corporation, Paragon Development Ltd. and PBC Real Estate Advisors Inc. through one of its Limited Partnerships, PBC VUR LP, completed a USD$415 million project financing for the development of a world-class urban resort adjacent to the B.C. Place Stadium in Vancouver, BC. Once completed, the resort will feature two luxury hotels, a 60,000 square foot conference centre, five world-class restaurants, three lounges, retail space and a new home for the existing Edgewater Casino. The Casino will include two gaming floors. 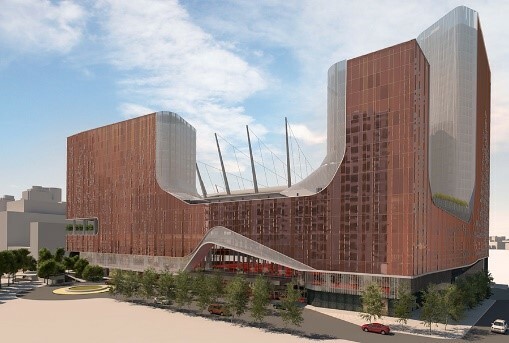 One floor will serve as an entrance from the concourse of the BC Place Stadium. The second floor will consist of restaurants, a lounge, a bar, and an outdoor terrace. Construction for this resort began in November 2014 and is projected to be completed in 2017. 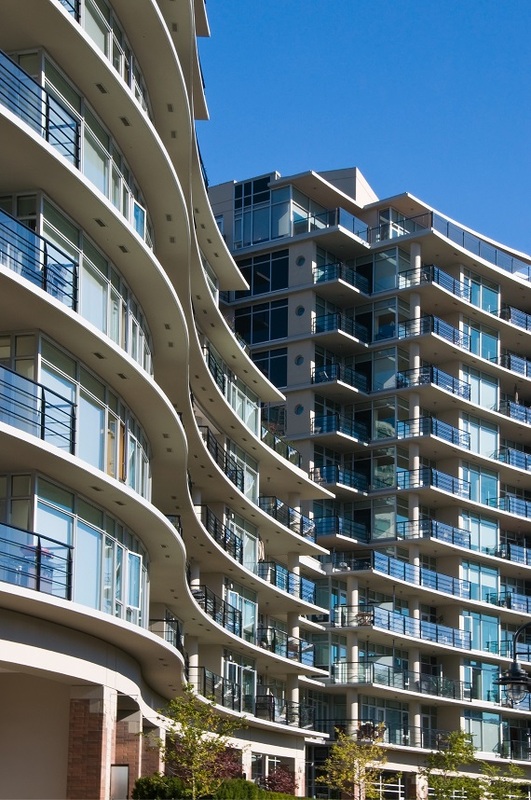 Learn more about the Vancouver urban resort. 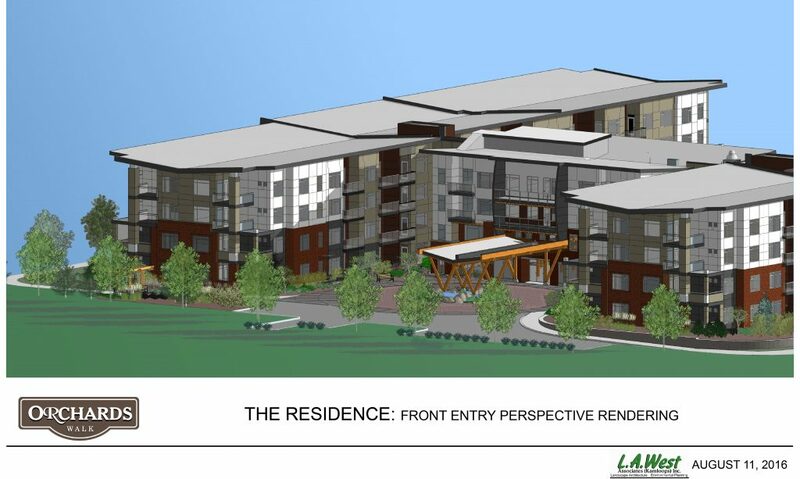 PBC Real Estate Advisors Inc. provides financing to accommodate the future development of a 193-unit independent seniors living facility in Kamloops, BC. Learn more about Orchards Walk Retirement Residence. PBC Real Estate Advisors Inc. provides construction and development financing for a 14-storey, 110-unit, multi-unit residential rental development in Nova Scotia. This development is funded in two phases as the construction of the development progresses. This project relates to an ongoing development within the area. PBC Real Estate Advisors Inc. provides first mortgage financing on approximately 390,000 square feet of future development land in Montréal, Québec. The subject property is one of the largest remaining vacant lands in the area. 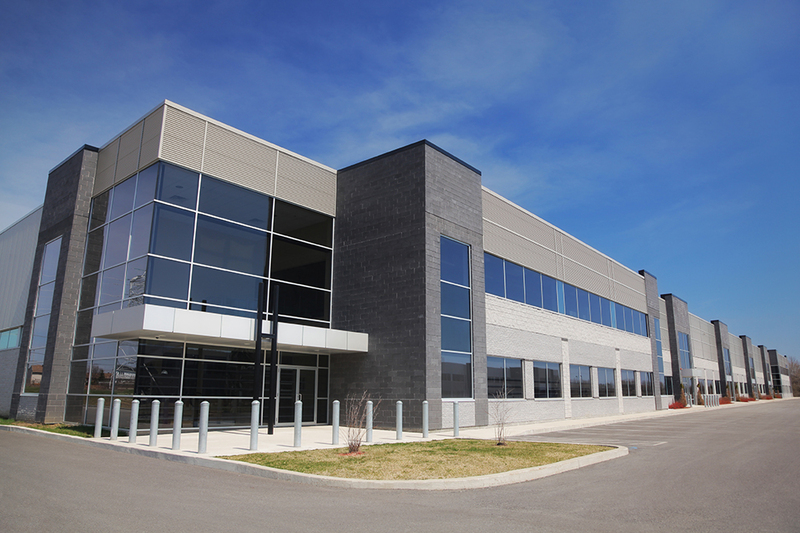 PBC Real Estate Advisors Inc. provides financing for building upgrades to a 115,000 square foot, two-unit, tenant occupied industrial building on 4.75 acres of land in Vaughan, Ontario. 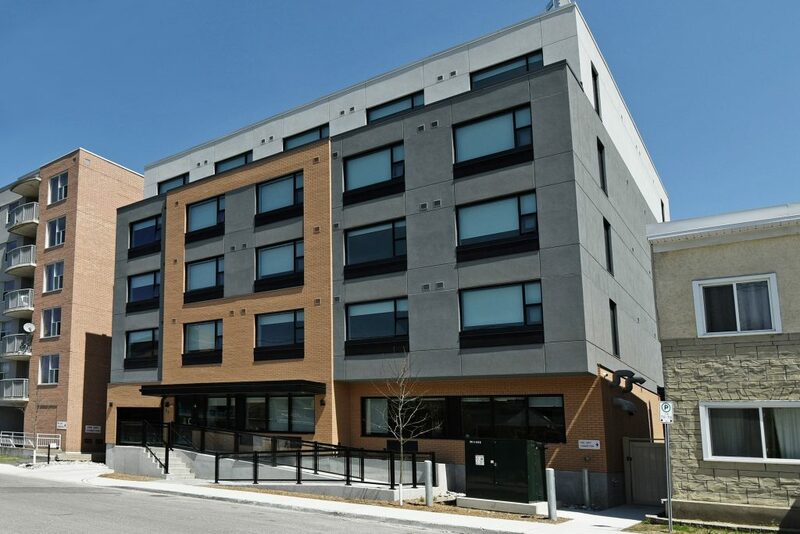 PBC Real Estate Advisors Inc. provides construction financing for a 77-unit condominium development to be funded in two facilities within the residential node of downtown Dartmouth, NS. Financing is provided in two phases as the construction of the development progresses. 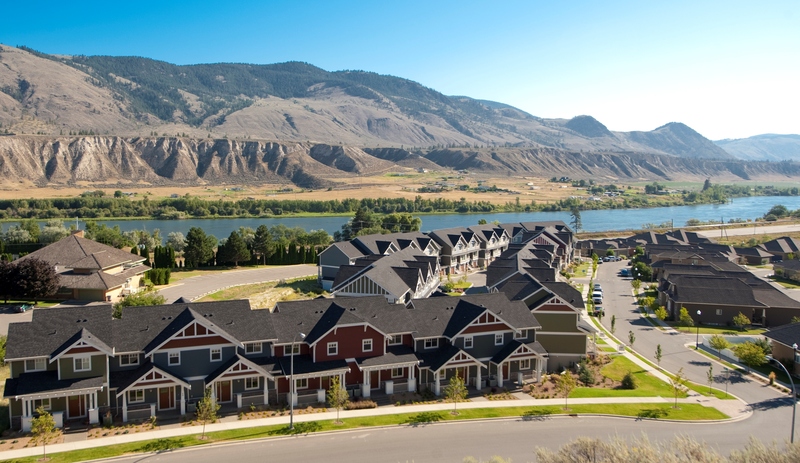 PBC Real Estate Advisors Inc. manages the financing for Cortland Park, a 64-unit townhouse development, in Kamloops, BC. It is designed to be environmentally friendly and meet the energy efficiency standards of the Built Green Certification Program of the Province of British Columbia. Cortland Park’s craftsman style homes feature high-quality exteriors, three bedrooms, 2.5 baths, two-car garages, and nine-foot ceilings in a roomy, open concept living area. Learn more about this exciting development. 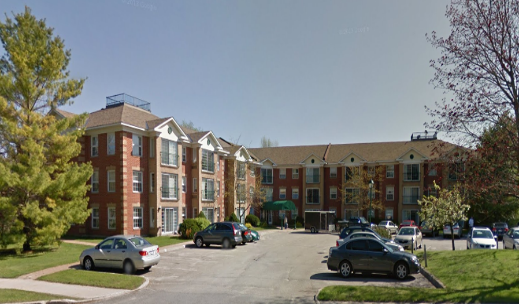 PBC Real Estate Advisors Inc. provides first mortgage financing and asset management services for a 16,300 square foot seniors retirement residence in the Greater Ottawa Area, Ontario. The retirement residence consists of 26 one-bedroom units and four two-bedroom units. 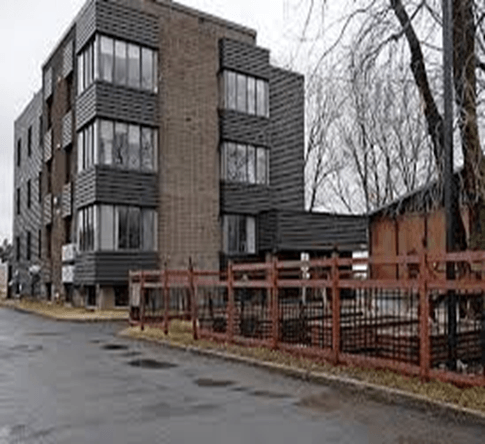 PBC Real Estate Advisors acquired a 108-unit residential apartment building that includes 42 one-bedroom suites, 44 two-bedroom suites, 20 two-bedroom + den suites, and two penthouse suites in Sault Ste. Marie, Ontario. PBC Real Estate Advisors Inc. provided financing in order to complete a residential development within Orchards Walk Community. It features 55 heritage style, multi-level, two-bedroom homes nestled along the Thompson River in Kamloops, BC. Learn more about Orchards Walk. PBC Real Estate Advisors Inc. enters a joint venture to finance a nine-storey premium hotel, with a total of 120 suites, a fitness room, an indoor pool, a business center and a restaurant and bar – all within the hub of Atlantic Canada’s largest regional municipality: Halifax, NS. 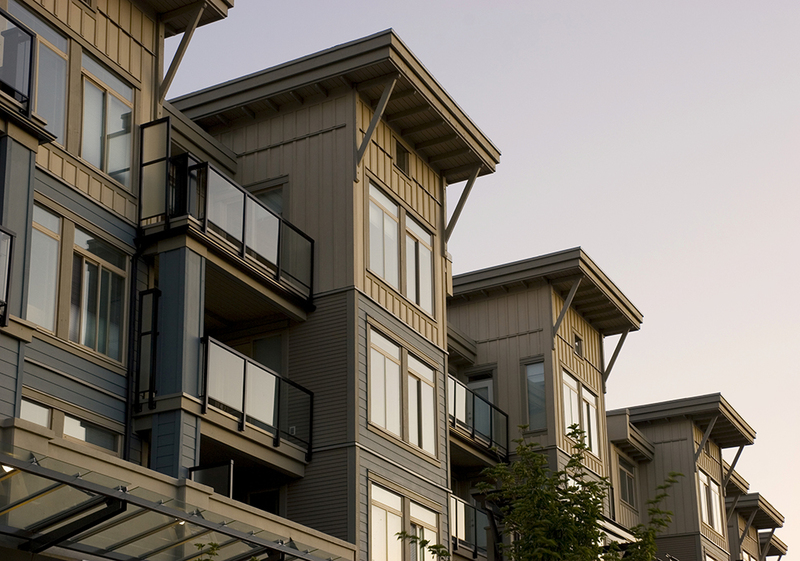 PBC Real Estate Advisors Inc. finances four multi-story residential apartment buildings – with a total of 66-units – within highly sought-after area of Camrose, Alberta. 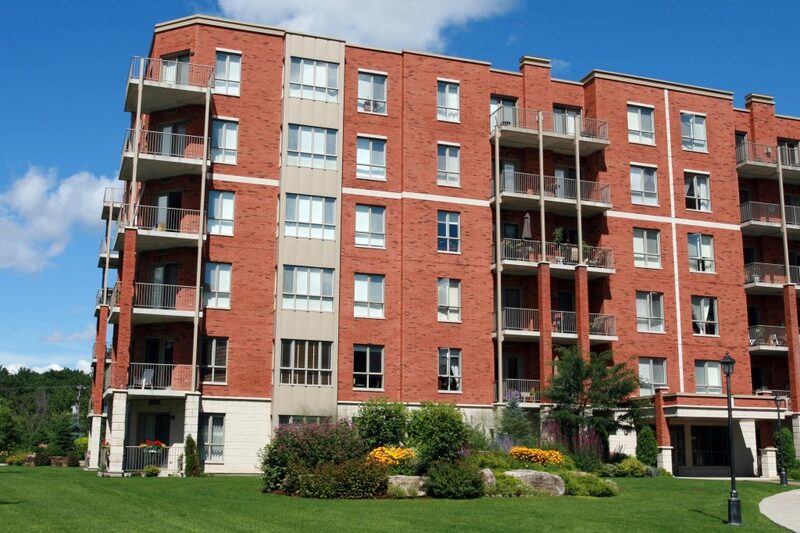 PBC Real Estate Advisors Inc. finances a multi-story residential apartment building, with a total of 61 units, within the greater area of Perth, Ontario. 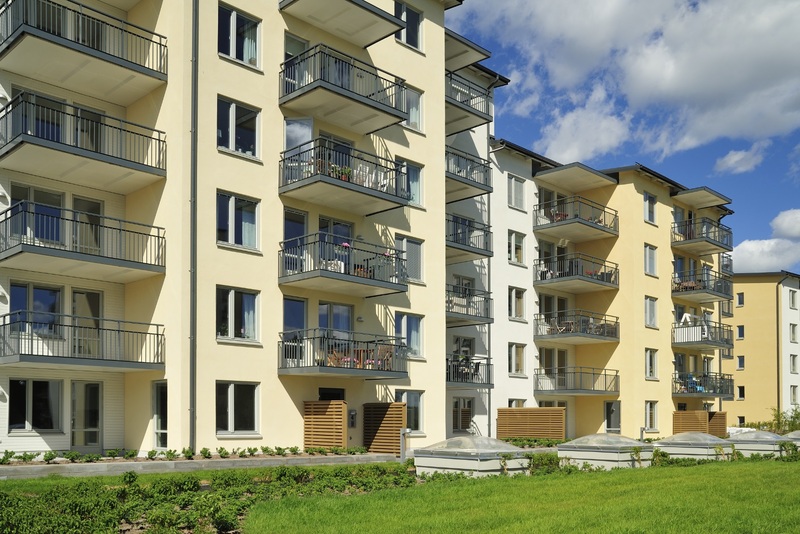 PBC Real Estate Advisors Inc. provides first mortgage financing and asset management services for a 3,885 square foot long-term care housing facility in Eastern Ottawa Area, Ontario. This facility consists of 17 semi-private rooms, four private rooms, and two four-bed units with a total of 46 beds. 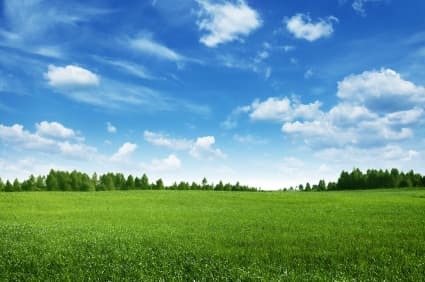 PBC Real Estate Advisors Inc. provides equity interest in a limited partnership that acquired various parcels of greenfield lands currently located outside the City of Ottawa urban boundary. 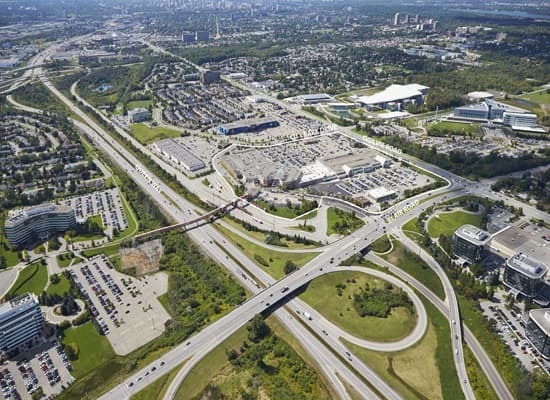 The parcel was acquired to improve its planning designation and zoning status by bringing it within the urban boundary as set out in the official plan of the City of Ottawa and then selling the approved lands at significantly higher values. PBC Real Estate Advisors Inc. provides financing to accommodate the future development of a 29,000 square foot commercial retail plaza. The plaza will be located along the Trans-Canada Highway in Kamloops, BC. Orchards Walk Plaza is located in a highly desirable location adjacent to a 900-unit housing development. 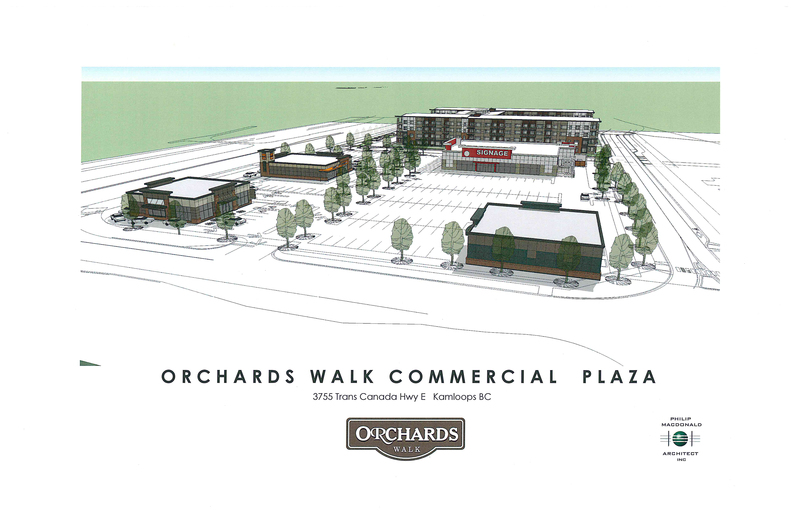 Learn more about the Orchards Walk Plaza and available retail tenant opportunities. PBC Real Estate Advisors Inc. provides second mortgage financing of a three-storey, 30-unit, 34,848 square-foot multi-residential property located in Toronto. 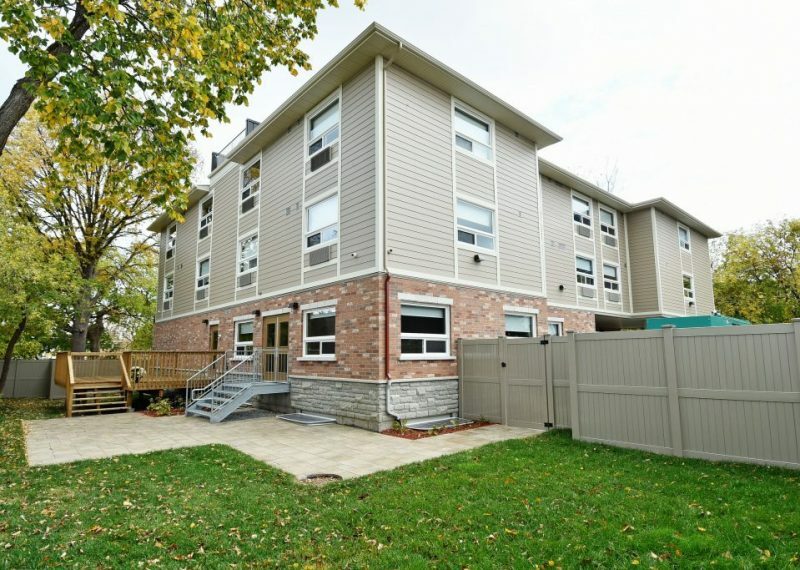 PBC Real Estate Advisors Inc. provides first mortgage financing of a multi-residential, 40-unit apartment building in Kitchener, ON. 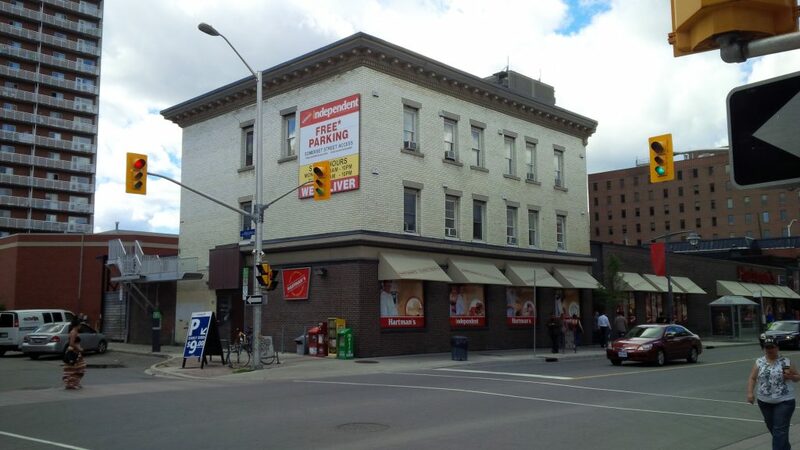 PBC Real Estate Advisors Inc. acquires an Ottawa downtown site to develop a multi-residential building. Projected completion date is 2018. PBC Real Estate Advisors places an equity investment for development of a six-storey building with 169 assisted living retirement residence. Projected completion date for the project is 2018. PBC Development and Construction Management Group Inc. has completed a 24,940 square foot housing facility on behalf of the John Howard Society. Our services included development consulting, cost consulting, and construction management services of the 36-unit, five-storey building. Along with a level of underground parking, the building was equipped with an elevator and wheelchair lift for enhanced visitability, as well as generous and attractive common spaces for resident’s use. 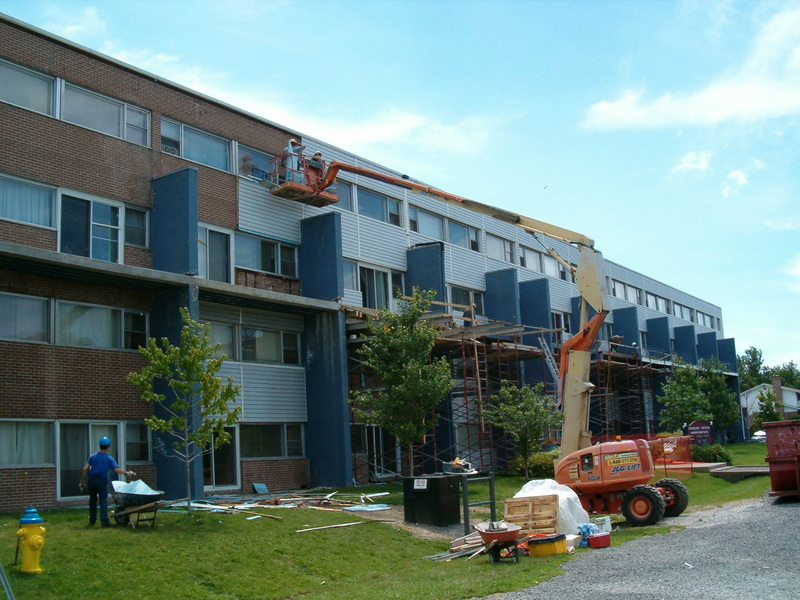 PBC Development and Construction Management Group Inc. began construction of the multi-unit, independent seniors living facility – known as The Residence at Orchards Walk – in August 2015. Once complete, the four-storey assisted-living facility will include 194 condominium-style suites, an open-seating restaurant, a wine bar and such amenities as a 24-hour concierge, salon and spa, and weekly housekeeping. 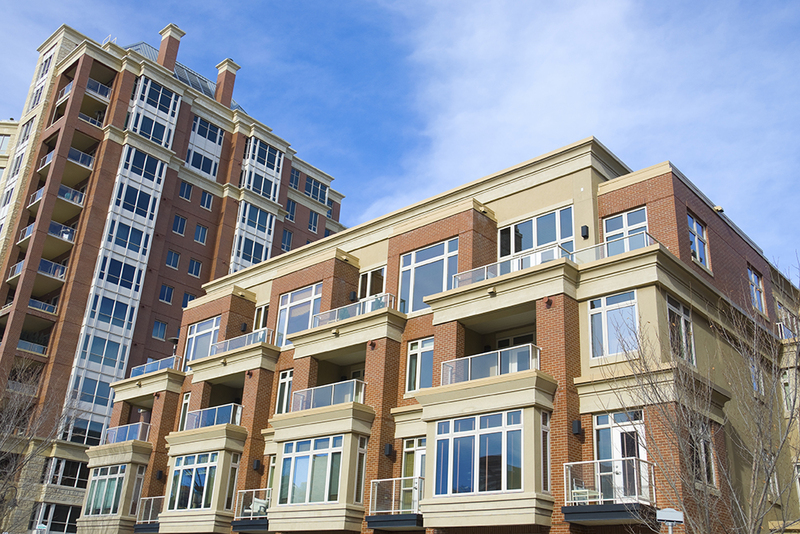 PBC Group provides development, construction management, and consulting services for all aspects of this project. 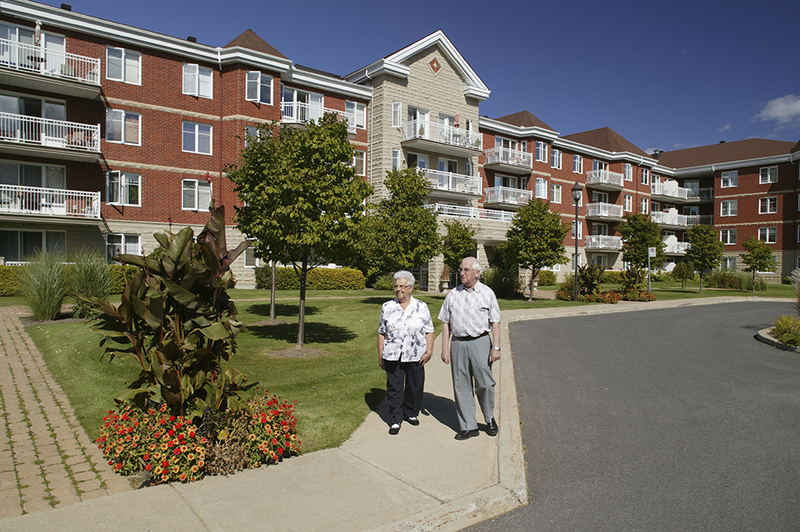 Learn more about Orchards Walk seniors residence. 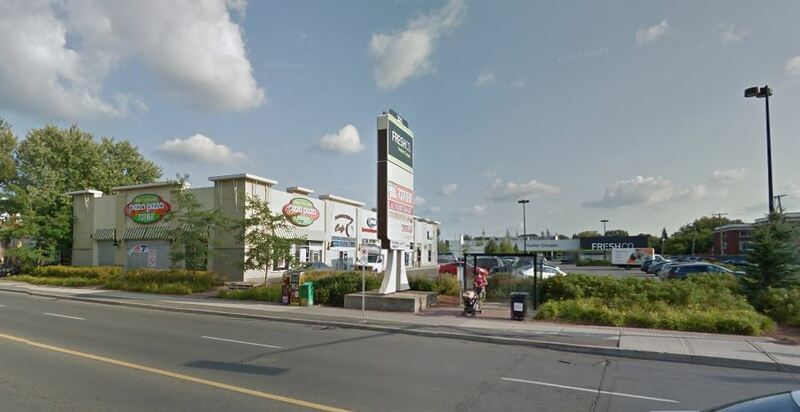 PBC Development and Construction Management Group Inc. provided site development, construction and project management services to expand Eagleson Shopping Centre. 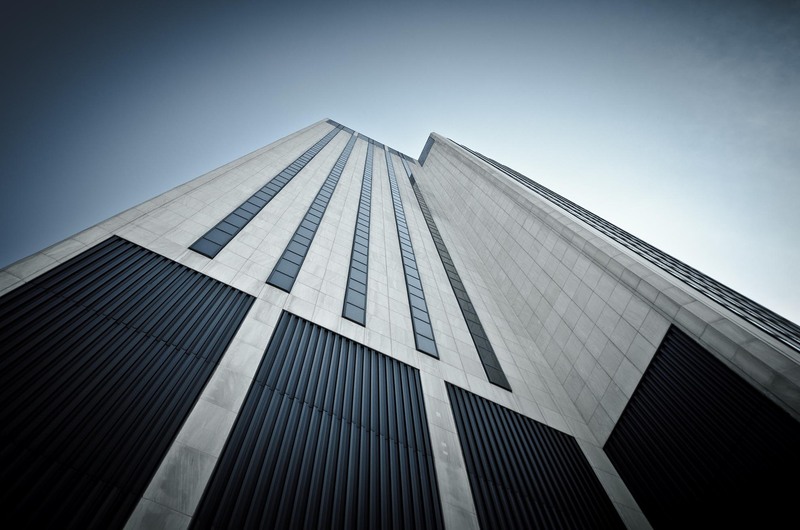 Our services included turnkey solutions, coordination of design and engineering, municipal approvals, tenant lease negotiations, overall business proforma and construction budgets, tendering and construction – all the way through to final tenant turnover. 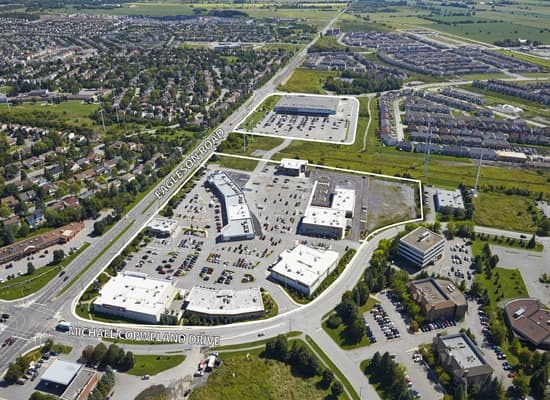 Eagleson Shopping Centre is a Greenfield Development consisting of 185,000 square feet of retail shopping space. 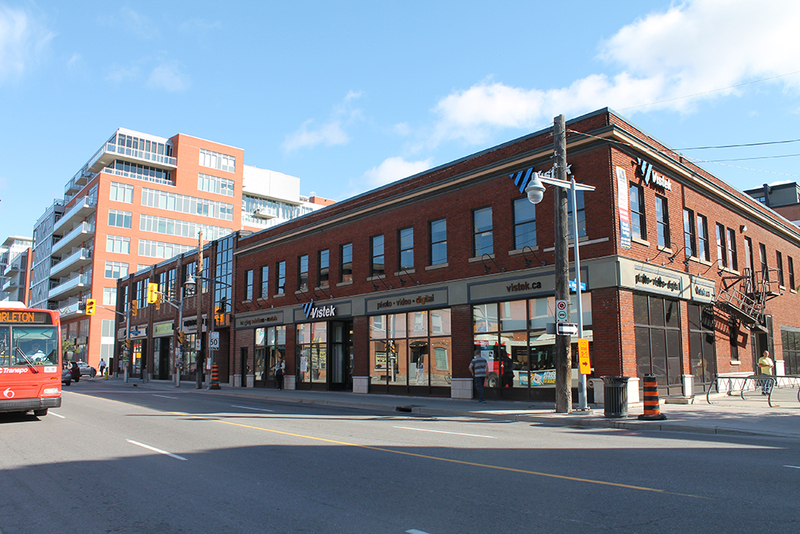 Tenants include Starbucks, Harvey’s, Shoppers Drug Mart, Home Hardware, TD Canada Trust and more. PBC Group provided project development and construction management which included a turnkey solution, coordination of design and engineering, municipal approvals, tenant lease negotiations, proforma and construction budgets, tendering, construction and tenant turnover. Strandherd Crossing is a Greenfield Development consisting of a 123,000 square foot shopping centre. It was developed and constructed to accommodate multiple retail tenants including Loeb Metro Grocery Store, Shoppers Drug Mart, Subway Restaurant, the Royal Bank of Canada, Starbucks, TD Bank and GoodLife Fitness. PBC Development and Construction Management Group Inc. provided site development, construction and project management services, which included a turnkey solution, coordination of design and engineering, municipal approvals, tenant lease negotiations, overall business proforma and construction budgets, tendering and construction – all the way through to final tenant turnover. 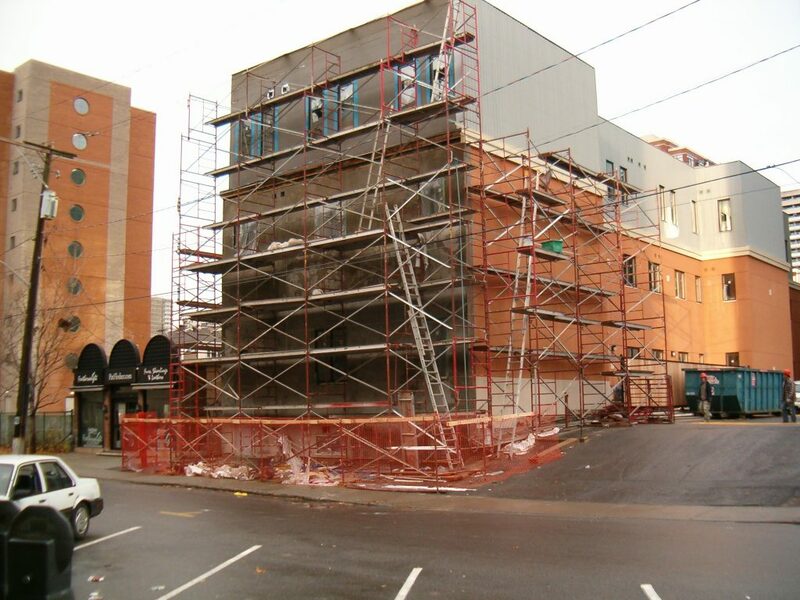 PBC Development and Construction Management Group Inc. provided consulting, construction and project management services to build a three-storey vertical addition to the east section of the existing five-story building. This addition was to accommodate 24 new executive suites, an executive board room and a lounge area. The Victoria Park Suites Hotel remained fully operational throughout the construction. PBC Development and Construction Management Group Inc. provided the consulting, construction and project management services required to complete a second vertical addition atop the parking garage to accommodate new meeting rooms. 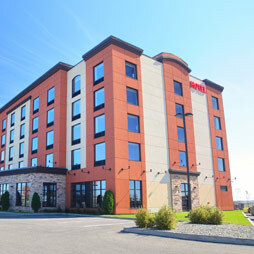 Simultaneously, we fully renovated and upgraded 100 suites to meet the franchise standards of Best Western Plus. PBC Development and Construction Management Group Inc. provided consulting, construction and project management services to coordinate structural alterations for accommodating a modern dining room, including a full self-service breakfast area. Learn more about the Victoria Park Suites Hotel. 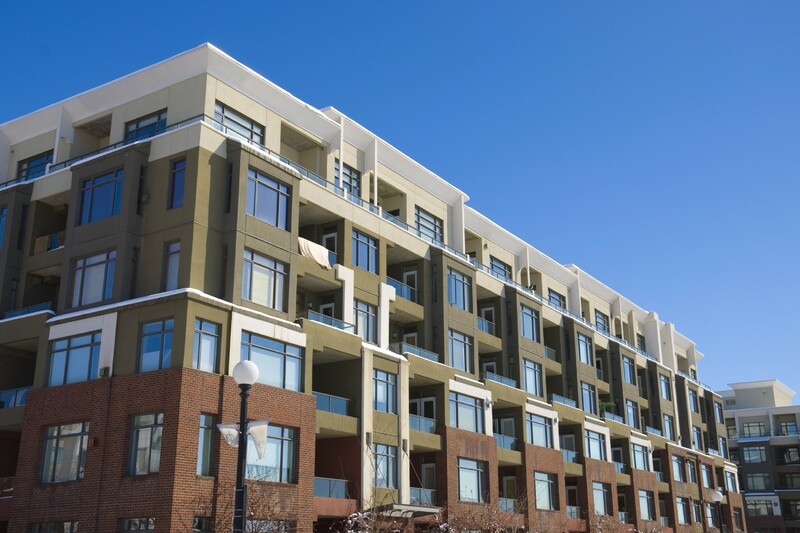 PBC Development and Construction Management Group Inc. provided development, construction and project management services for Cortland Park, a 64-unit townhouse development in Kamloops, British Columbia. This development is designed to be environmentally friendly and meet the energy efficiency standards of the Built Green Certification Program of the Province of British Columbia. Cortland Park’s craftsman-style homes feature quality exteriors, three bedrooms, 2.5 baths, two-car garages, and nine-foot ceilings in a roomy, open concept living area. Consulting services included conducting feasibility reports, environmental studies, building design and value engineering. Development and construction management services included coordination of design and engineering, construction budgets, tendering and construction. Learn more about Cortland Park development. PBC Development and Construction Management Group Inc. provided project management and construction management services to construct a 137,000 square foot addition to the existing shopping complex. We also steered renovations to accommodate the relocation of tenants and the addition of several retail tenants, including Scotia Bank, Loblaw’s Supermarket, Tim Hortons, Moxie’s and Zellers. 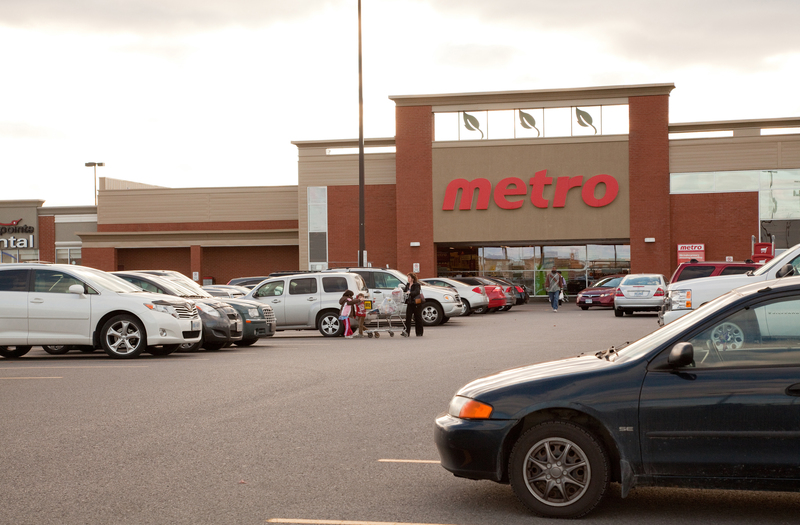 Located in Ottawa’s east end, Gloucester City Centre is a 357,000 square foot shopping plaza. Consulting services included a turnkey solution, coordination of design and engineering, municipal approvals, tenant lease negotiations, proforma and construction budgets, tendering, construction and tenant turnover. 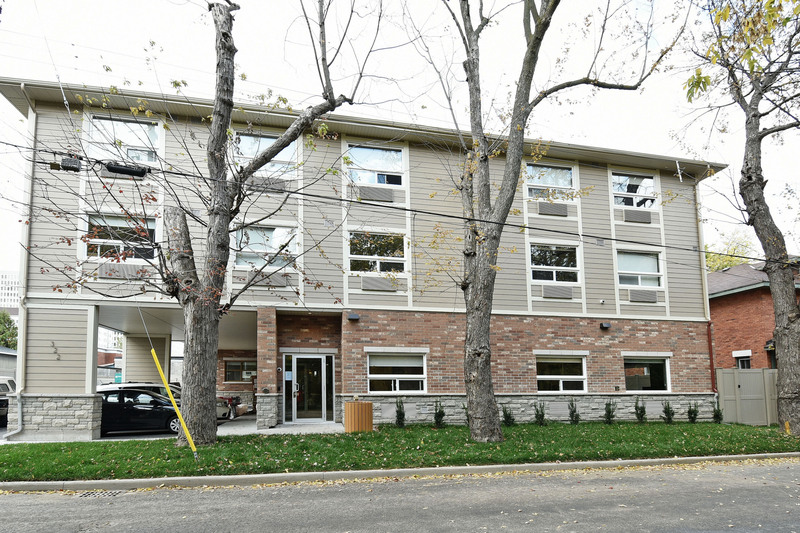 PBC Development and Construction Management Group Inc. has completed a long-term housing facility on behalf of the John Howard Society. 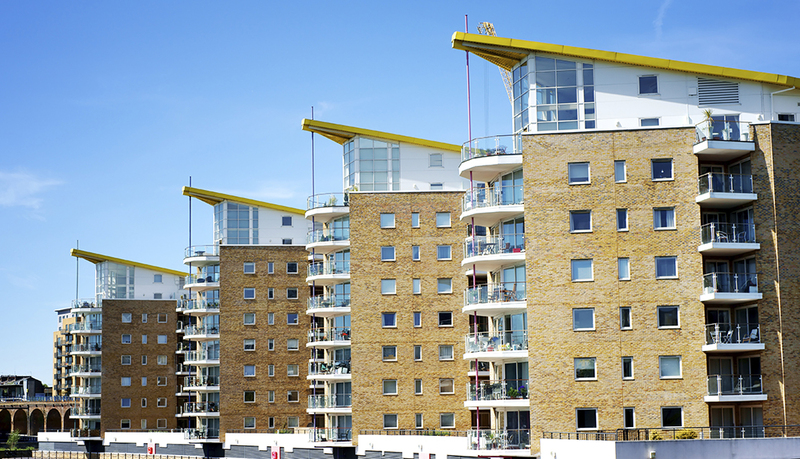 Our project management and construction management services included demolition of two existing duplexes, brownfield clean-up, and the development and construction of the 34-unit, three-storey building. Other services included property procurement, municipal and provincial grant programs, feasibility studies, environmental studies, building design and value engineering. Substantial completion was achieved on September 1, 2015. PBC Group is excited to work with the John Howard Society on upcoming projects! 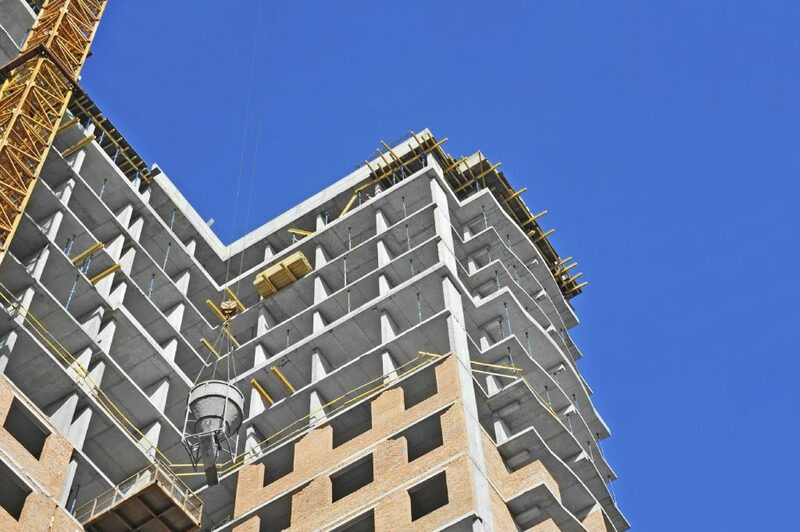 PBC Development and Construction Management Group Inc. provided consulting and project management services to rehabilitate the exterior building envelope of three 20-storey apartment buildings. The repairs included masonry restoration, roof repairs, metal cladding, insulation upgrades and sealant replacement throughout. During the course of the rehabilitation, all units remained fully occupied. PBC Development and Construction Management Group Inc. provides development, construction and project management services to accommodate the future development of a 29,000 square foot commercial retail plaza. The plaza will be located along the Trans-Canada Highway in Kamloops, British Columbia. 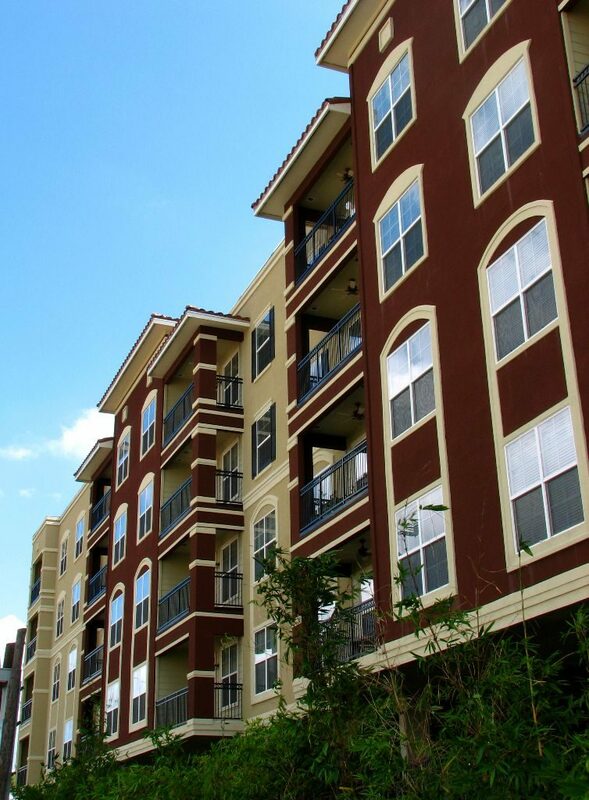 Orchards Walk Plaza is located within a highly desirable location, adjacent to a new 900-unit housing development. PBC Group manages applications for subdivision and site preparation for this large-scale retail plaza. This includes preliminary layout approval and subdivision application from the city. PBC Group leads the civil engineering team to design implementation for major site services, such as utilities, storm, sewer and gas. The infrastructure, including road work and deep services, will soon be complete so that we can proceed with the next phase of development: construction of Orchards Walk Plaza. Learn more about Orchards Walk Plaza and retail tenant opportunities. PBC Development and Construction Management Group Inc. provided site development, construction and project management services, which included a turnkey solution: coordination of design and engineering, municipal approvals, tenant lease negotiations, overall business proforma and construction budgets, tendering and construction – all the way through to final tenant turnover. Services included demolition of the extensively fire-damaged plaza and the complete redevelopment of a 120,000 square foot retail shopping area. New pad buildings include: Price Chopper, Pizza Pizza and more. Demolition of the fire-ravaged building and construction of the new plaza was achieved within five months. 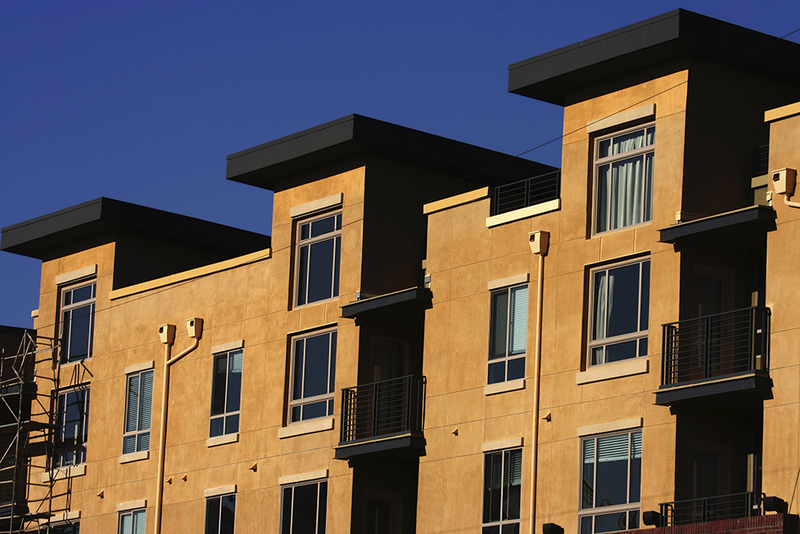 Consulting services included a turnkey solution: coordination of design and engineering, municipal approvals, tenant lease negotiations, proforma and construction budgets, tendering, construction and tenant turnover. PBC Development and Construction Management Group Inc. provided development, construction and project management services to complete structural alterations to this building’s parking garage, including removal and replacement of asphalt pavement on the concrete slab and installation of a new waterproofing membrane. PBC Group equipped the 10-storey building with a new elevator, new windows, heating, ventilation and air-conditioning. Each unit was remodeled and fitted with new plumbing fixtures, flooring, drywall, millwork, doors, trim, hardware and light fixtures. PBC Development and Construction Management Group Inc. undertook construction of a new, 15,000 square foot emergency shelter developed for 30 beds. Funding was provided by the Supporting Communities Partnership Initiative. Consulting services included property procurement, application of municipal and provincial government grant programs, conducting feasibility reports, environmental studies, building design and value engineering. Development and construction management services included coordination of design and engineering, construction budgets, tendering, construction and tenant turnover. 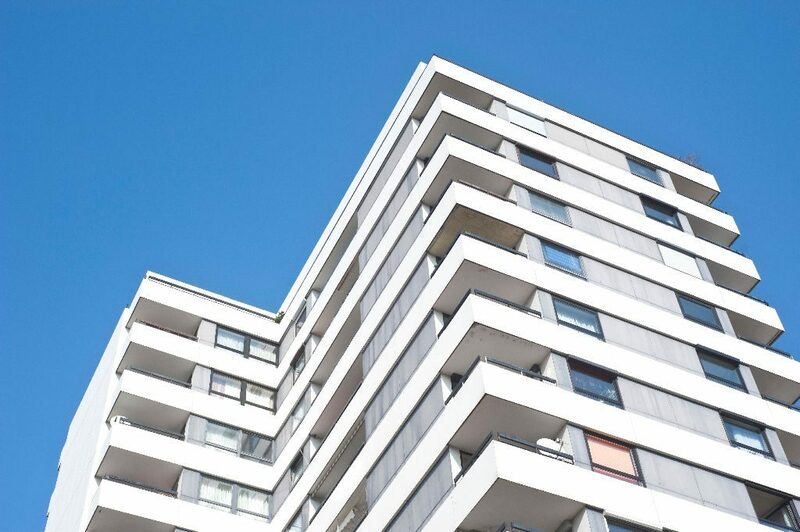 PBC Development and Construction Management Group Inc. provided consulting services to rehabilitate the exterior building envelopes of two 14-storey apartment buildings. The project included the replacement of balcony doors, commercial grade windows and metal flashing to sills and frames in order to maximize the building’s energy efficiency. We also installed waterproofing membranes to the base of the balcony spandrel with metal siding. All suites were occupied throughout the entire installation process. 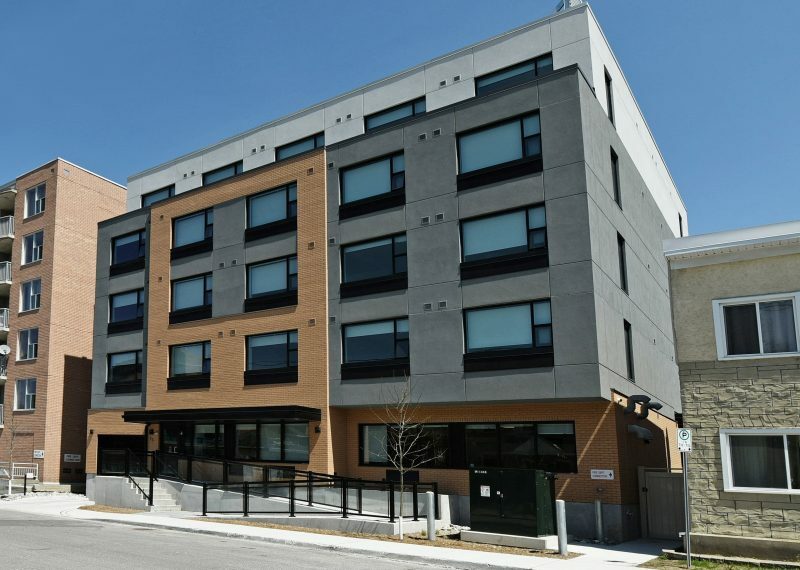 PBC Development and Construction Management Group Inc. provided development, construction and project management services to construct a new six-storey, 30-unit low-rise apartment building in Ottawa, Ontario. Consulting services included application of municipal and provincial government grant programs, conducting feasibility reports, environmental studies, building design and value engineering. Development and construction management services included coordination of design and engineering, construction budgets, tendering, construction and tenant turnover. 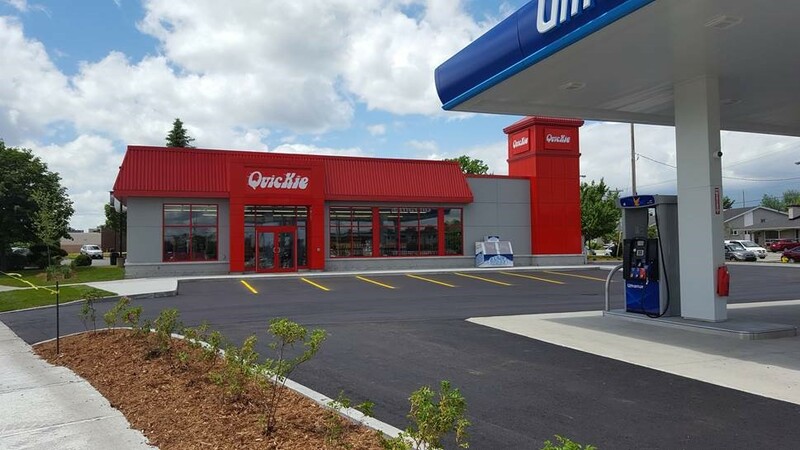 PBC Development and Construction Management Group Inc. provided development, construction and project management services for the large Ottawa-based company, Quickie Convenience Stores. We provided many services, including coordination of design and engineering, site selection, municipal approvals, overall business proforma and construction budgets, tendering and construction, through to final turnkey. We gave particular consideration to tenant lease negotiations, as fast food outlets, touchless carwashes, and gas bars have a very specific site selection process. 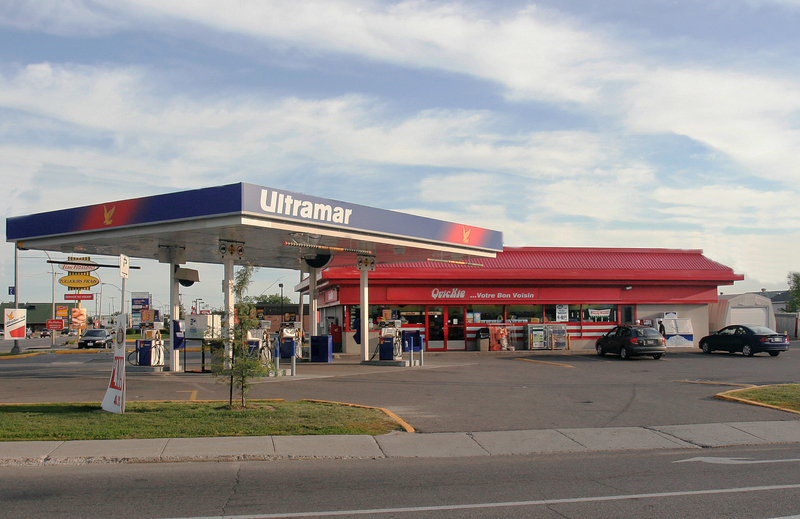 Over 25 Quickie Convenience Stores were constructed in various locations: Gatineau, Cumberland, Gloucester, Kemptville, Brockville, Nepean, Kanata, Kingston, Cornwall, Smith Falls and in central Ottawa. 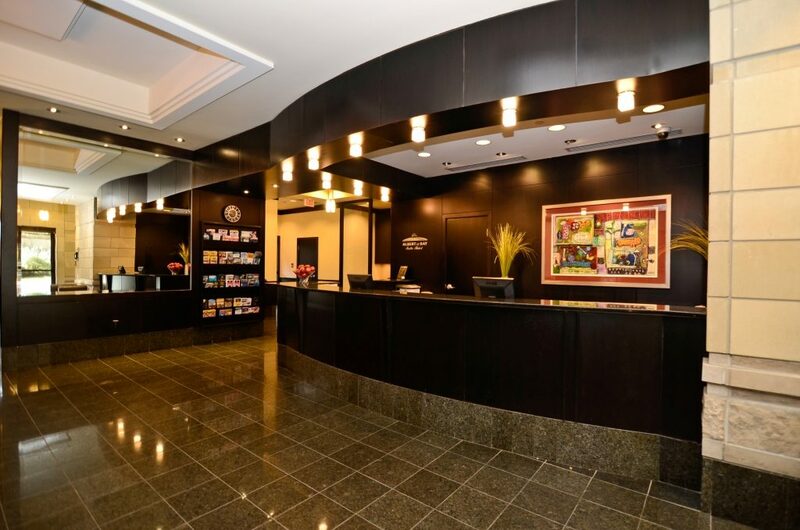 PBC Development and Construction Management Group Inc. provided construction and project management services to complete renovations to the interior common spaces of the Hilton Hotel in Ottawa, Ontario. In addition, we revitalized 179 suites and the main lobby. 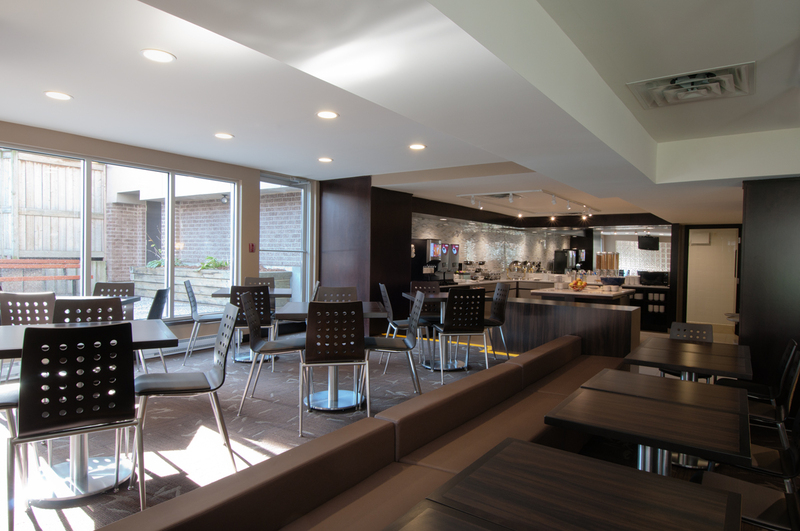 PBC Development and Construction Management Group Inc. provided construction and project management services to renovate 524 suites and both restaurants within the hotel: Hartwell’s and Les Saisons. 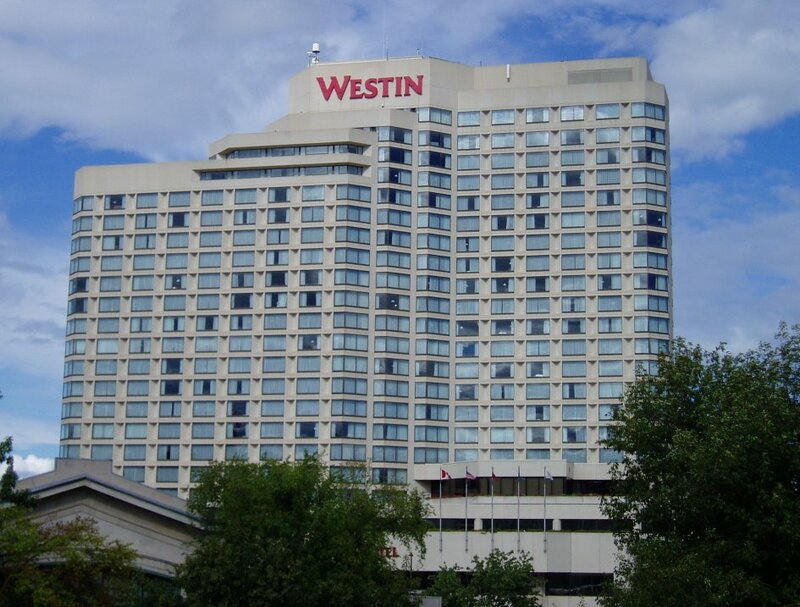 The renovations were required so the hotel could meet the standards of the Westin Hotel franchise. PBC Development and Construction Management Group Inc. provided consulting, construction and project management services to renovate an existing two-storey commercial building to accommodate 13 new bachelor units. PBC Development and Construction Management Group Inc. undertook renovations to an existing 11,000 square foot building, including upgrades to the interior spaces, window replacement, complete HVAC replacement, foundation repairs and exterior retrofit. PBC Development and Construction Management Group Inc. provided consulting, construction and project management services to renovate 200 executive suites. All suites – varying in size from 800 to 1,300 square feet – underwent a complete refurbishment. The entire scope of work was completed within five months, during which the hotel remained fully operational. 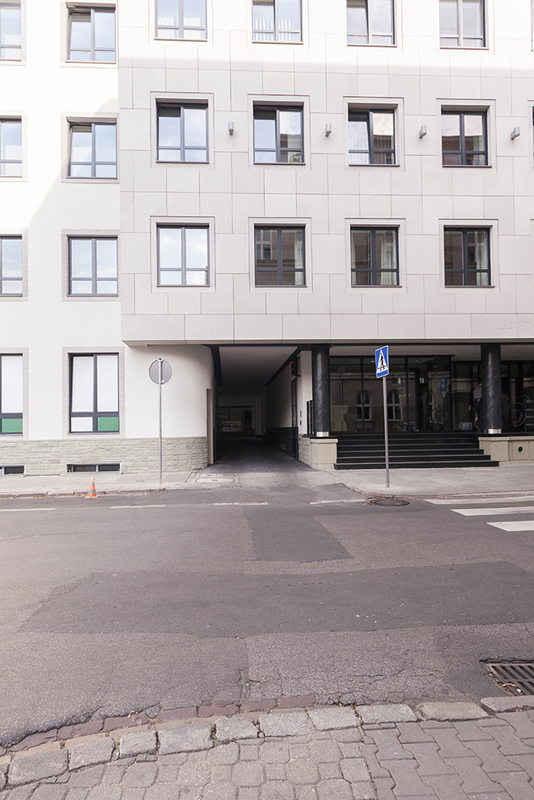 PBC Development and Construction Management Group Inc. provided consulting, construction and project management services to renovate the exterior front façade, main entrance lobby, elevator and hotel service areas. The main floor underwent substantial structural alterations to accommodate over 3,000 square feet designated for multiple large conference rooms and boardrooms. 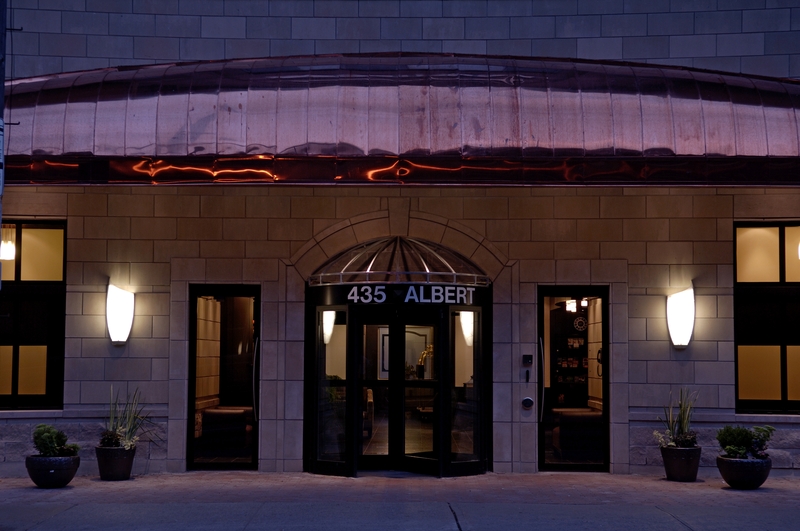 Learn more about the Albert at Bay Suite Hotel. PBC Development and Construction Management Group Inc. completed renovations to the existing building to accommodate a 30-room shelter. Construction included the addition of a third storey for a total 15,000 square feet of floor area. PBC Development and Construction Management Group Inc. provided site development, construction and project management services to renovate an existing two-storey, 15,000 square foot commercial building to accommodate 26 bachelor units. PBC Development and Construction Management Group Inc. provided consulting and development, construction and project management services for a multi-phase project. Phase I was to renovate 12 two-bedroom units. Phase II was to fully renovate and reconfigure the entire building to accommodate an additional 24 bachelor units in a four-storey, wood-framed building. An existing bachelor unit was fully renovated to allow wheelchair accessibility. 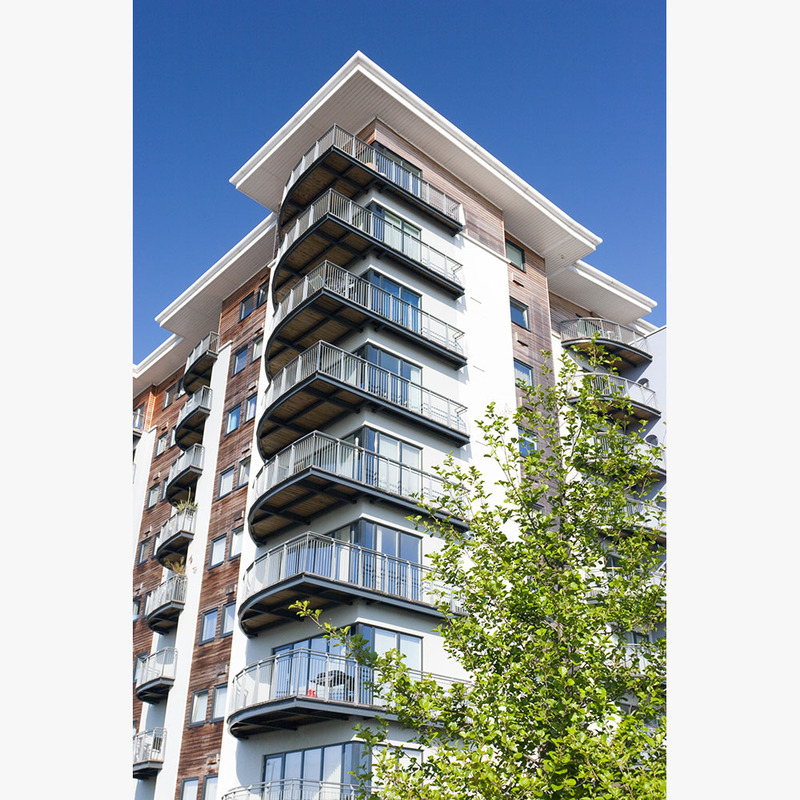 PBC Development and Construction Management Group Inc. provided consulting, construction and project management services to replace all windows for 500 tenant-occupied units in three high-rise apartment buildings. PBC also completed interior and exterior flashing, trim and caulking. 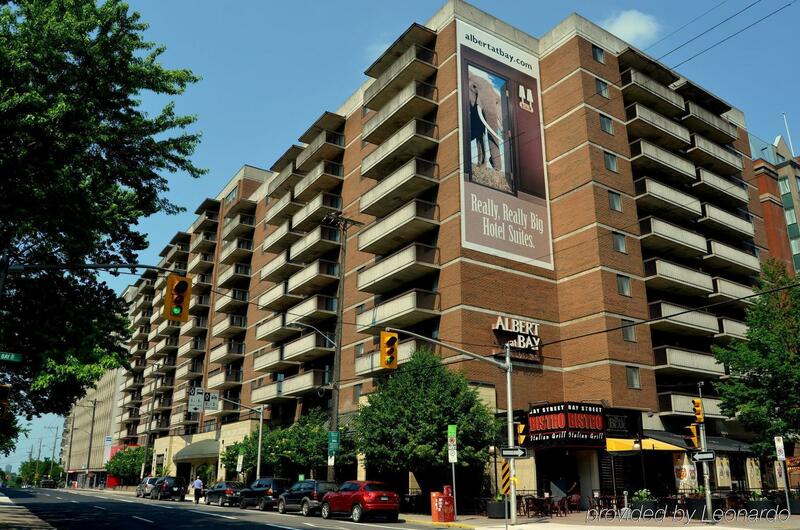 PBC Development and Construction Management Group Inc. provided consulting, construction and project management services to complete repairs to the building envelope and balconies at the Albert at Bay Suite Hotel in Ottawa, Ontario. The repairs were necessary due to normal building-cycle deterioration. They included removal and replacement of 2,000 square feet of caulking to exterior sealant along the head brick panels and slab edges, brick repointing, and replacement of the balcony and roof anchors. The Albert at Bay Suite Hotel is a premium hotel that includes a fitness center, rooftop patio, business center and underground parking – all aimed to please a long-term guest. The hotel has approximately 200 apartment size suites each with a fully equipped kitchen. Initially, the hotel was an apartment building consisting of one- and two-bedroom units. 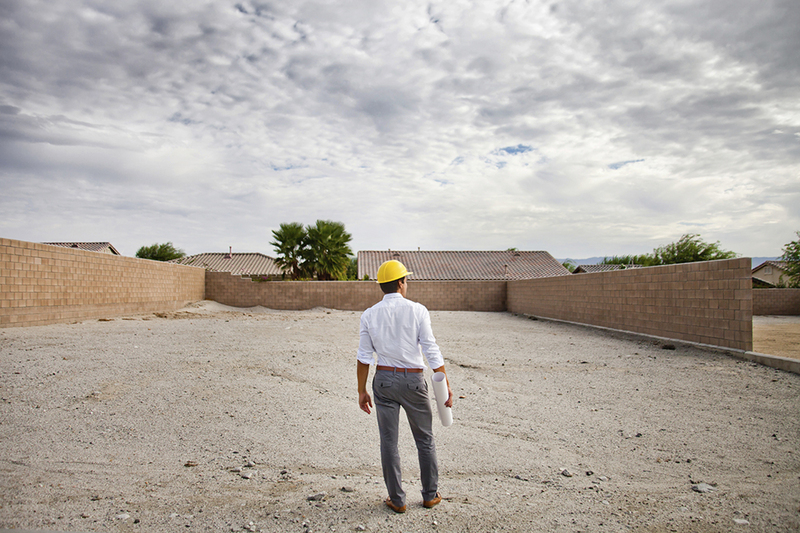 PBC Development and Construction Management Group Inc. provided development, construction and project management services to complete a residential development within Orchards Walk. 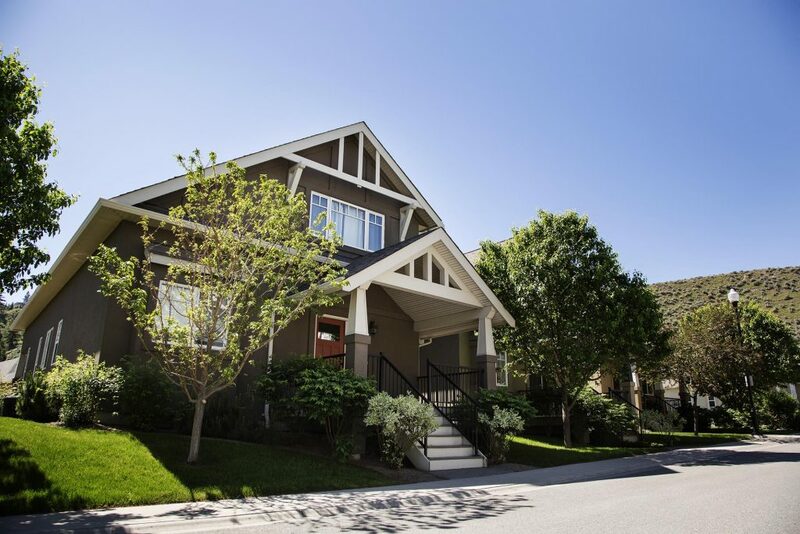 Braeburn, by Orchards Walk, features 55 heritage-style, multi-level, two-bedroom homes nestled along the Thompson River in Kamloops, British Columbia. Learn more about Braeburn by Orchards Walk. PBC Development and Construction Management Group Inc. provided consulting, construction and project management services to conduct a full mechanical overhaul of the Albert at Bay Suites Hotel in Ottawa, Ontario. 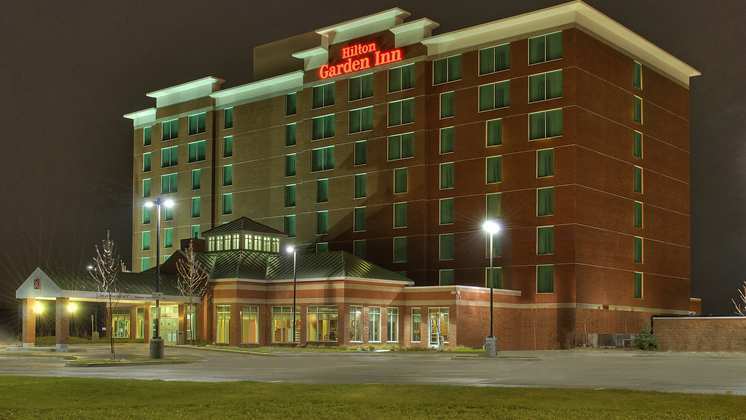 The hotel’s mechanical equipment underwent extensive repairs and replacement of existing cooling, heating and ventilation systems and equipment, including heat pumps, boilers, tower and air conditioning, make-up air unit and controls. The hotel remained fully operational during the entire mechanical overhaul. PBC proficiently managed the repairs to ensure our client’s guests were never without heat or hot water. The Albert at Bay Suite Hotel is a premium hotel that includes a fitness center, rooftop patio, business center and underground parking aimed to please a long-term guest. The hotel has approximately 200 apartment-size suites each with a fully equipped kitchen. Initially, the hotel was an apartment building consisting of one- and two-bedroom units. 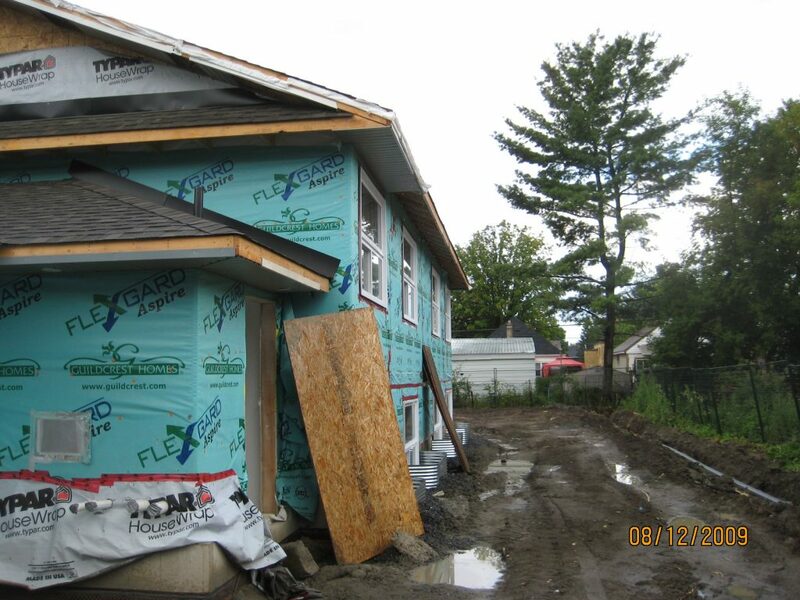 PBC Development and Construction Management Group Inc. provided development, construction and project management services to demolish two existing residential properties and construct an 18-unit apartment building for women and their young children. Ten additional bachelor units were added by means of a three-storey addition at the rear of the building and the addition of a full third floor over the existing building. This addition included a wheelchair lift and substantial upgrades to the existing facilities for increased efficiency and decreased operating costs. PBC Development and Construction Management Group Inc. provided development, construction and project management services to renovate an existing two-storey commercial building. Renovations to the existing two-storey commercial building were completed in two phases. 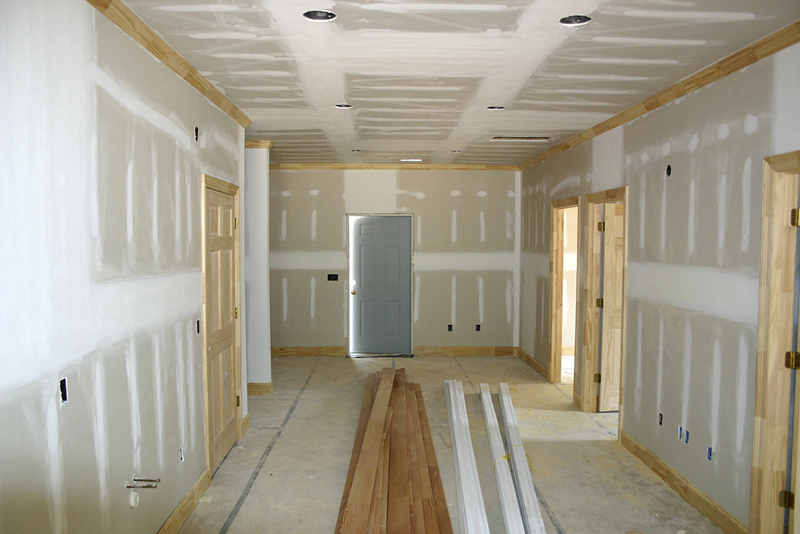 Phase I included complete renovations to the second floor, intended for commercial and office use. Phase II included the complete renovations of retail tenant fit-up to the ground floor and construction of a new underground parking garage. PBC Development and Construction Management Group Inc. provided many services, including coordination of design and engineering, municipal approvals, overall business proforma and construction budgets, tendering, construction through to final turnkey. The building was erected in the 1940s and was initially intended as an assembly plant in the Second World War. Tenants include: Vistek, Dr. Jill M. Taylor (Dentist), the Royal Bank of Canada, PBC Group, Perkins+Will Architectural Firm, InterRent REIT, and CLV Group of Companies. 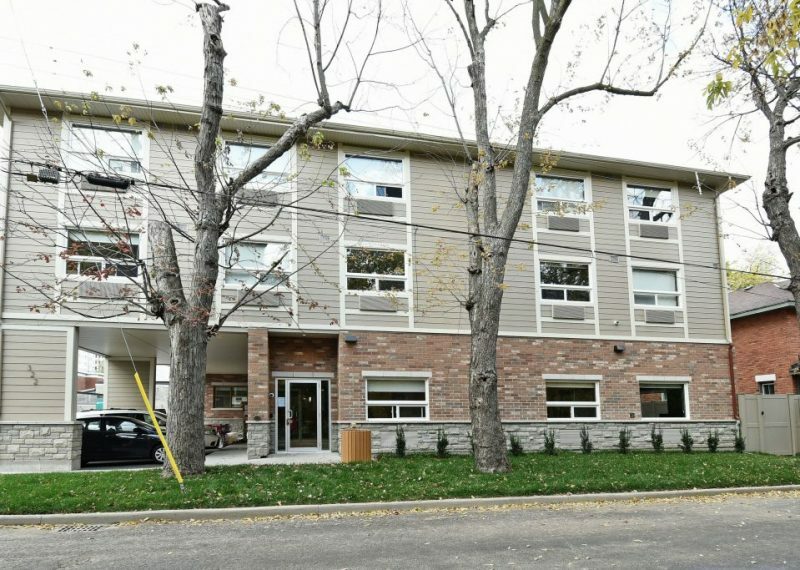 PBC Development and Construction Management Group Inc. provided development, construction and project management services to convert an existing 50-unit, two-storey apartment building into condominiums in Ottawa, Ontario. 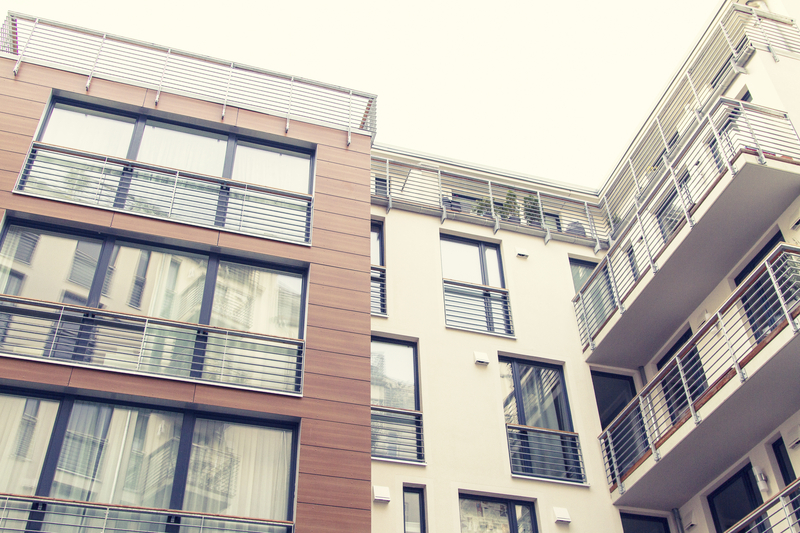 PBC Group’s services included building-envelope repairs including a complete new roof, new windows and exterior doors, renovations to common areas to suit condominium standards, and a full mechanical overhaul. Each condominium unit was remodeled and fitted with new plumbing fixtures, flooring, drywall, millwork, doors, trim, hardware and light fixtures. PBC Development and Construction Management Group Inc. provided consulting services, including a turnkey coordination of design and engineering, municipal approvals, tenant lease negotiations, proforma and construction budgets, tendering, construction and tenant turnover. PBC Development and Construction Management Group Inc. is excited to announce the new Quickie Convenience Store and Gas Bar located on the corner of Walkley and Heron Roads in Ottawa, Ontario. Construction began mid-October 2015, and achieved substantial completion on August 2, 2016. Find more information and a complete list of Quickie Convenience Store locations. 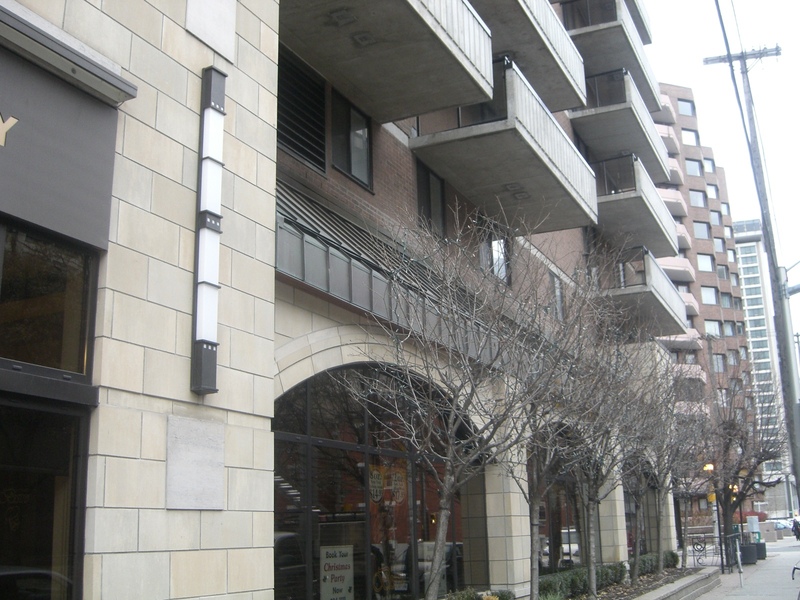 PBC Development and Construction Management Group Inc. provided the consulting, construction and project management services required to replace 162 exterior windows, 178 patio doors, and 12 elevator lobby doors at the Albert at Bay Suite Hotel in Ottawa, Ontario. 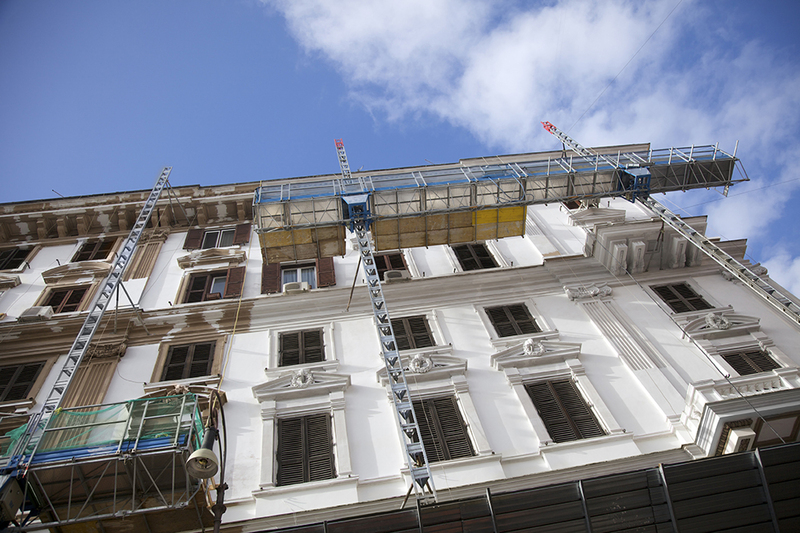 The hotel remained fully operational throughout the repairs. PBC Group managed the contractor’s schedule to ensure our client’s guests were comfortable throughout their stay. The Albert at Bay Suite Hotel is a premium hotel that includes a fitness center, rooftop patio, business center and underground parking – all aimed at pleasing a long-term guest. The hotel has approximately 200 apartment-size suites, each with a fully equipped kitchen. Initially, the hotel was an apartment building consisting of one and two bedroom units.